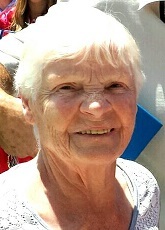 Romualda Lazarczyk 78 of St. Petersburg passed away February 2, 2019. Memorial service will be 6 PM Friday, February 8, 2019 at David C. Gross Funeral Home, 830 N. Belcher Road, Clearwater. Family will receive friends from 5 PM thru service time.